You`d never even notice it in my house. Just got a new fibre-op cable. Now my speed has doubled. 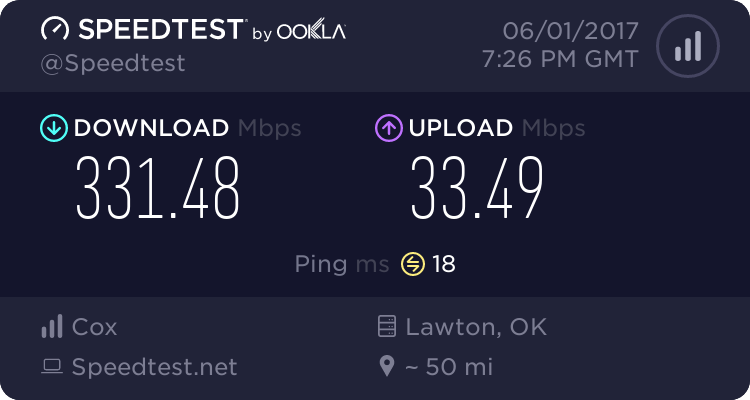 Finally an update for my service for only $5 a month more. 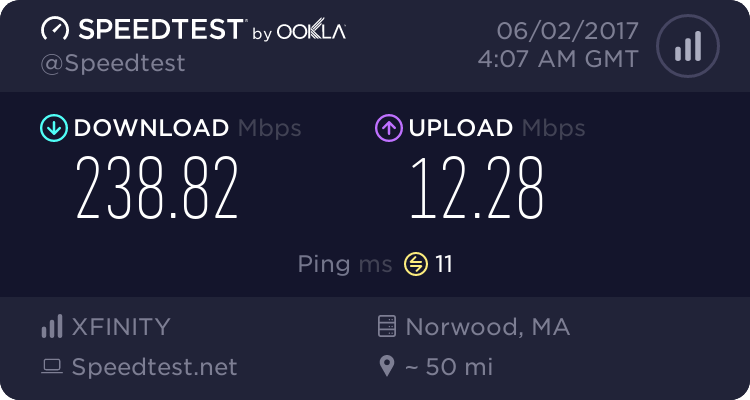 AND I pay root cost is $87.95/month which is only $3 MORE LOL then the tier below which is 100Mbps... 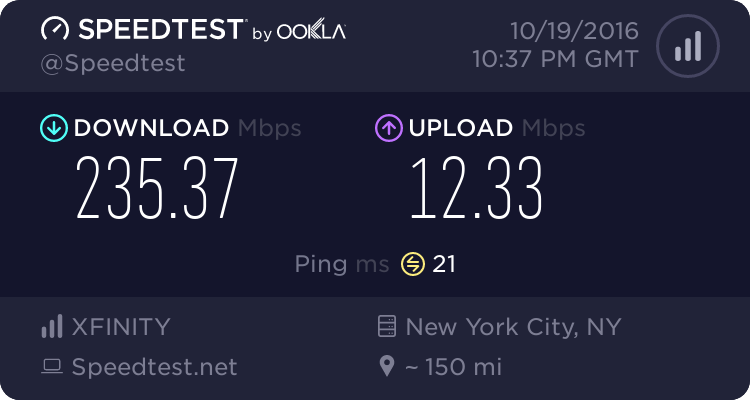 I pay for 200Mbps download and 10Mbps upload. - Steam games by Valve Corp.